Moinoddini, Z. (2014). Evaluation and Management of Land Productivity Using Parametric Malmquest Index (Case Study of Kerman Province in Iran). International Journal of Advanced Biological and Biomedical Research, 2(4), 1332-1339. Zeinab Moinoddini. "Evaluation and Management of Land Productivity Using Parametric Malmquest Index (Case Study of Kerman Province in Iran)". 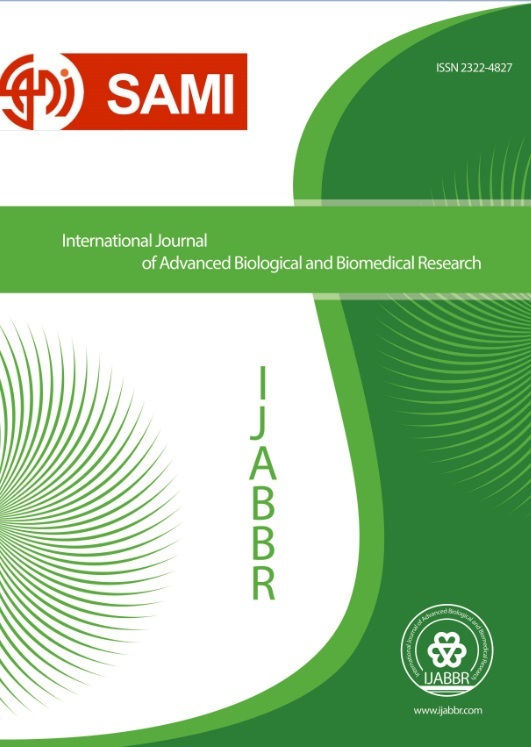 International Journal of Advanced Biological and Biomedical Research, 2, 4, 2014, 1332-1339. Moinoddini, Z. (2014). 'Evaluation and Management of Land Productivity Using Parametric Malmquest Index (Case Study of Kerman Province in Iran)', International Journal of Advanced Biological and Biomedical Research, 2(4), pp. 1332-1339. Moinoddini, Z. Evaluation and Management of Land Productivity Using Parametric Malmquest Index (Case Study of Kerman Province in Iran). International Journal of Advanced Biological and Biomedical Research, 2014; 2(4): 1332-1339. Wheat and barley are the main crops in Iran and has multiple uses. Research suggests that subsistence food crops such as wheat and barley has a special place in low-income countries. However, to achieve maximum efficiency for a sustainable agriculture must be able to obtain agricultural inputs such as land. Kerman province is one of the provinces with high production of these products. According to this study the effectiveness and efficiency of these products were in the cities of the province. Results indicate that productivity growth for the city RAVAR, Zarand, Sir Jan and Shahrbabak during the 5 -year average is less than one and a numerical approach for other cities has more of a positive productivity growth.